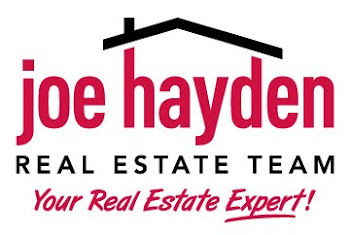 Orchestrating Greatness: Four Things You Never Knew About the Louisville Orchestra | Louisville Real Estate with the Joe Hayden Real Estate Team - Your Real Estate Experts! To some, the Louisville Orchestra may seem like any other American big-city orchestra. But for those in the know, this orchestra has a rich history full of surprises and one-of-a-kind achievements. Today the Louisville Orchestra continues their legacy by performing classics as well as newly commissioned pieces. Here are four facts about the Louisville Orchestra that might surprise you. The Louisville Orchestra first started in 1937, not long after a major flood ravaged the city. While the city was still recovering from the flood damage, and while the country was struggling to deal with the effects of the Great Depression, an ambitious young conductor named Robert Whitney decided that Louisville would be the best place to build up the world's next great orchestral ensemble. Whitney soon became known as America's hardest working conductor, as he took the group from dingy back-room rehearsals to fame on the world stage. Thanks to Whitney's hard work, and the willing partnership of Louisville's arts-loving mayor Charles Farnsley, the Louisville orchestra grew in popularity during the 1940s. Then, in 1948, Farnsley had a novel idea - one that would eventually put Louisville on the map in the international music scene. Farnsley decided that, instead of relying on older pieces, the orchestra would focus on commissioning new works from contemporary composers around the world. This impressed the Rockefeller Foundation, which gave the orchestra a grant of $400,000 in 1953 (the equivalent of $3.5 million today, an unprecedented figure at the time). Thanks to this grant, the Louisville orchestra was able to commission 156 new pieces in over the next three years. From then on, Louisville became known as the "house of new music" in the classical world. With the threat of war with the Soviet Union looming in the late 1950s, Louisville played its own role in creating "detente" with the Soviets. Thanks to the ongoing commissioning project, the orchestra was able to bring Soviet composers like Dmitri Shostakovich and Dmitri Kabalevsky to America in 1957. The famous composers saw for themselves what the U.S. was like, and also provided the American audience with a thrilling taste of their passionate and fiery Russian compositions. Despite its success and popularity, the Louisville Orchestra has struggled with finances over the years, just as many other orchestras have. In May 2011, the Louisville Orchestra Musicians' Association (LOMA) officially began strike action in protest of layoffs and other cuts by the orchestra management. This led to the cancelling of several performances, but fortunately for classical music fans in Louisville, the LOMA reached an agreement with the orchestra management in April 2012, and the orchestra is now back on track delivering great performances all year round. Nowadays, the orchestra continues to please audience with classic pieces such as Brahms' Violin Concerto, pops favorites with hits from movies like "Gone With the Wind" and "the Wizard of Oz," and modern twists like their take on Pink Floyd's "Dark Side of the Moon." Come see for yourself what this orchestra, which has been around for over 75 years, has to offer.